The team behind Street Fighter: Legacy have found a financial backer for their Street Fighter: Assassin's Fist TV series. You may recall that amazing live action Street Fighter Legacy short that surfaced a couple years ago, and the subsequent crowdfunding campaign from its producers to get a full Street Fighter TV series produced. Well, good news everyone! 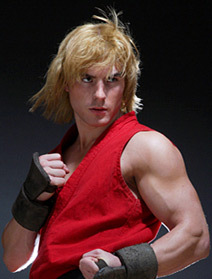 Not only did the producer find a proper financial backer for its project, it has announced at this year's Comic-con that filming for Street Fighter: Assassin's Fist now underway. "Hi SFAF supporters.....THE TIME HAS COME. Tomorrow we begin filming SFAF and will attempt to create something that is beyond your wildest dreams. It has been an incredibly tough, sometimes impossible road to get to this point, but faith, passion, determination and a 'never give up' spirit has gotten me and my awesome team to the start line. Wish us well and look forward to daily updates starting very soon!" The show's Kickstarter campaign, which ran with Capcom's blessing, managed to raise a decent amount of it's target goal before being abruptly cancelled back in April. This was due to the team finding an official financial backer willing to foot the bill for the project. A lot of the series main actors have already been cast, but a casting call is looking for child actors to portray younger various of the famous Street Fighter heroes. This is an important note, as the story of Assassin's Fist takes us back to the formative years of Street Fighter stars Ryu and Ken. No official release date for the series has been given, but the fact that filming has started means we are probably within a year of release.